Emotional Support Animal Letter | Official site of ESASmart University. Emotional Support Animal Letter Superstore for Cats and Dogs. Chat with a therapist over the phone or in person. on your next round-trip flight! Great savings start here. You’re going to love us. It's faster, easier, and cheaper to move into your new place. Less-worry moving. Nobody does it better. We are here, and we can help. Getting a genuine ESA letter is simple! Place an order, take an exam, and speak with a local clinician. Therapeutic sessions are available. Enjoy same day and Saturday service, amazing client care, and complete protection of your mental health and financial transaction information. Global Emotional Support Animal Letter Services. Over 900 ESA-certified therapists worldwide offering a wide variety of services, including full continuum of care. Call us today to learn more. If your dog or cat helps ease your emotional disability, then you're likely eligible for an emotional support animal letter for housing which requires landlords to waive their "pet rules." Across the US, Canada, and around the globe, our therapeutic network of clinicians provide emotional support animal letters for travel that fully comply with all legal and airline requirements. So Long ‘Bogus’ ESA Vendors. New Florida legislation requires individuals with a disability or a disability-related need for an assistance animal to be under the current care of a licensed practitioner. The bill makes it a misdemeanor crime (including 60 days in jail, $500 fine, 30 hours of community service) to misrepresent information relating being qualified to use an emotional support animal. We expect this bill to easisly pass into law and for other states to quickly ratify similar statutes. Learn more. Experience simply amazing customer service. To put it simply, they helped me through a situation that could have been a lot worse. A team that kept in touch with me and ensured that I got what I needed, made this experience one unlike any you would expect. I appreciate the understanding and patience they had with me and I appreciate the urgency they took into helping me. All in all I want more people to feel confident in this teams hands and know they will be taken care of. My situation needed urgent assistance and I got along with compassion. SEE MORE REVIEWSGET THE REAL INSIDE STORY. ESA Smart is our upcoming online university that will offer a series of training seminars geared towards companies and professionals who have a career interest in the ESA market space. With over 900 therapists in our clinical network, from Newark to New Zealand, Toronto to Tokyo, we’ve helped thousands and thousands of individuals get to a better place. Don’t Buy An ESA Letter Until You Read This‎. Can’t live without Fido or Fluffy? ESAD can get you an emotional support animal letter that allows you to live and travel with your emotional support animal quickly. And it can be done entirely online. 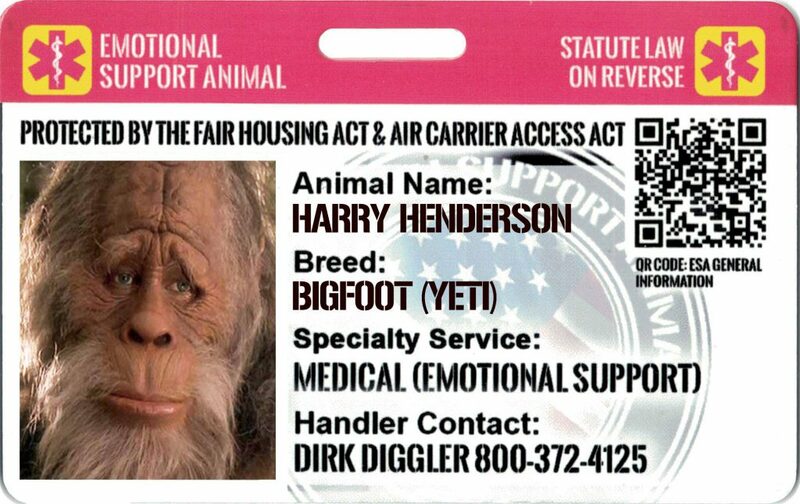 Make an appointment with us and you could have a completely legitimate and legally binding emotional support animal letter the very same day. Start with an online application and soon you will have documents that give you the right to have your animal with you when you travel and where you live, even if you rent. Wouldn’t you like to travel with your pet that gives you emotional support without paying anything extra to bring the animal on a flight? 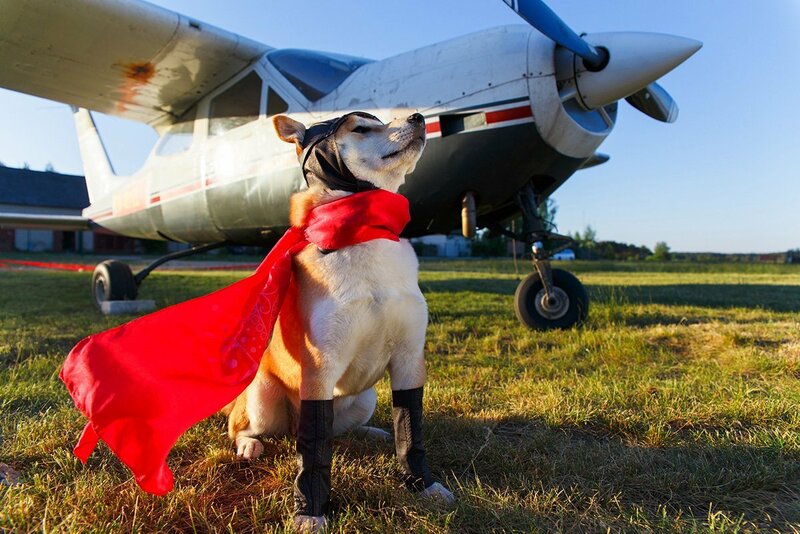 Wouldn’t you like to be able to bring your emotional support animal into the airplane cabin with you instead of sending it to the cargo hold with the other pets? Wouldn’t you like to be exempt from paying pet deposits or pet rent landlords often charge? Wouldn’t you like to be live without fear that you can be rejected from living somewhere because of your emotional support animal? College dorms fall under the same rules for accommodating emotional support animals and you are also allowed to keep your emotional support animal there. Some colleges and universities have been fined for banning emotional support animals because they were not following not the Fair Housing Act in doing so. With the proper documents that ESAD provides, animals that help students function are allowed to live in dorms and other kinds of college residences. How do you get one of these letters? Some estimate that at least one quarter of Americans have some of the conditions that emotional support animals can improve. 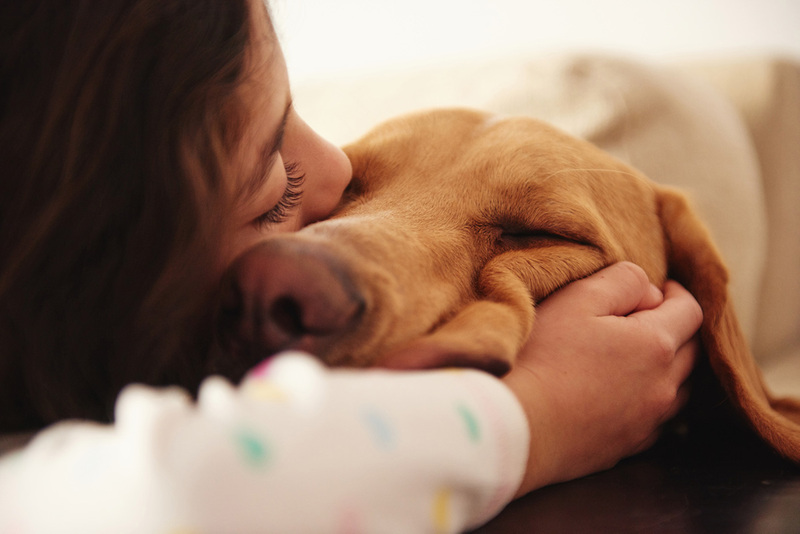 Tell us about how your animal helps with your condition and improves your symptoms. It is highly likely that you qualify. Increasingly, mental health experts agree that having an emotional support animal is a kind of medicine that helps humans cope with certain medical conditions. And the law recognizes that. Does my animal have to register as an emotional support? Unlike seeing-eye dogs, or service animals, there is no registry for emotional support animals and there is no special training required to qualify as an emotional support animal. By definition, emotional support animals are there for you when you need it. Seeing-eye dogs and service animals, however, are registered, according to the Americans with Disabilities Act. If there’s no registry, why do you need a letter? You need a medical professional to document the conditions that your emotional support animal alleviates to qualify for the protections that the law offers for people who need it. Only a letter from a state-licensed clinician or doctor can render an opinion that holds weight with the courts, and therefore landlords and travel accommodations. It’s a scam if they say they can “register” your animal online. Our letters are the genuine article: Emotional support animal letters from state-licensed doctors or clinicians that hold up to scrutiny and can be defended in court as protecting you from illegal discrimination. ESA letters are good for just one year, however. You need to get one every year to keep the documents current. Tales and stories from around the web. 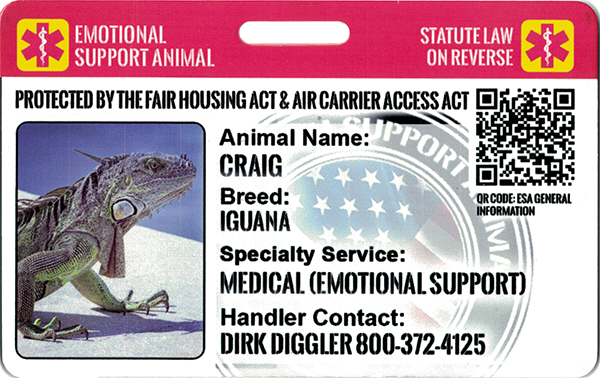 Emotional Support Animal News and Information. Florida is looking to crack down on fake emotional support animals by working on a bill that will require proof if a person needs one.